(1879-1938) Frank Van Sloun was born in St. Paul, MN on Nov. 4, 1879. During Van Sloun's youth his interest was divided between sports and art. He studied for two years at the St. Paul School of Fine Art and, after signing with the St. Paul team to play professional baseball, abruptly decided to go to NYC to pursue an art career. 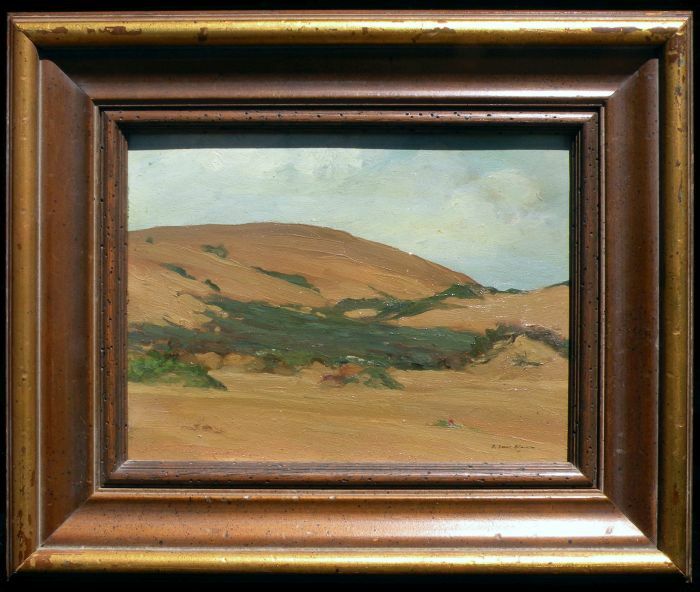 Arriving in 1900, he studied at the Art Student's League under Robert Henri and the Chase School.. After a brief visit to San Francisco, Van Sloun settled there in 1911. He taught at the California School of Fine Art (1917) and in 1926 joined the faculty at UC Berkeley while maintaining a studio in his home in San Francisco at 1617 California Street. During the last decade of his life, he gained wide fame as an artist and an educator. 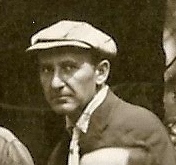 He died in San Francisco in 1938 while preparing murals for the Golden Gate International Expo. An adherent of the Ash Can School, Van Sloun's works were inspired by typical Americans in everyday life. During his career he used varied styles such as Impressionism, Pointillism, and Realism. His oeuvre includes oils, pastels, and tempera compositions as well as etchings and monotypes. Works held: Oakland Museum; Mark Hopkins Hotel, Room of the Dons (murals with Maynard Dixon); Bohemian Club; California Historical Society; California State Library; Mills College. Member: Bohemian Club; San Francisco Art Association; Society of Mural Painters; Carmel Art Association.